Teacher Training and Mentorship near Rochester, New York. 200 hr. trainings as well as CEU's available, E-RYT 500 trained faculty and special international guests. next 200-hour teacher training begins in september 2019. 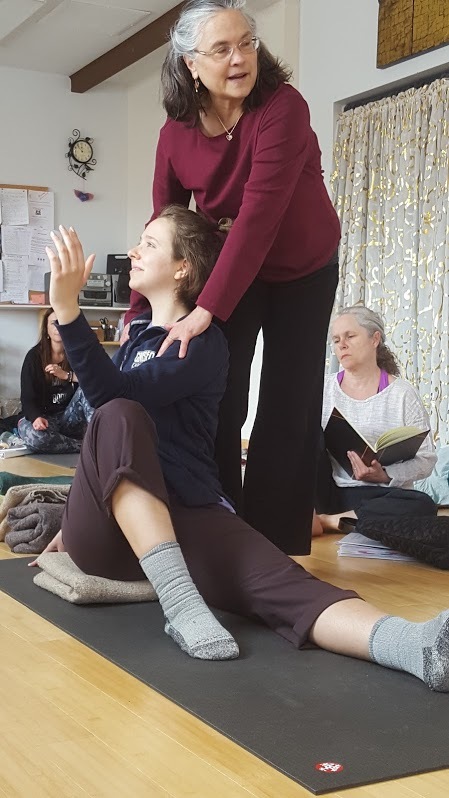 TEACHER TRAINING 2019-2020: September 2019 - June 2020 click here for brochure Become inspired....immerse yourself in yoga. Yoga is a journey on the path of knowledge of your own Self, which guides the individual to the affirmation and revealing of his/her own inherent and natural strength and inner wisdom. This training program offers the student a means to learn and cultivate the necessary skills to teach others while establishing in one's own being the experience of yoga's deepest worth and long lasting benefits-physically, mentally, spiritually. We welcome you to step into this training program for your own personal growth or if your goal is to become a certified hatha yoga teacher. In either case, you will cultivate a dynamic and enlivened relationship with the practices of asana, meditation, pranayama, chanting, reflection, and contemplation as well as the enlightening study of yoga's living philosophy. Learn to live your yoga! *Enrollment in the entire training program is necessary to complete a Shakti Yoga certification and to qualify for Yoga Alliance RYT-200 status. 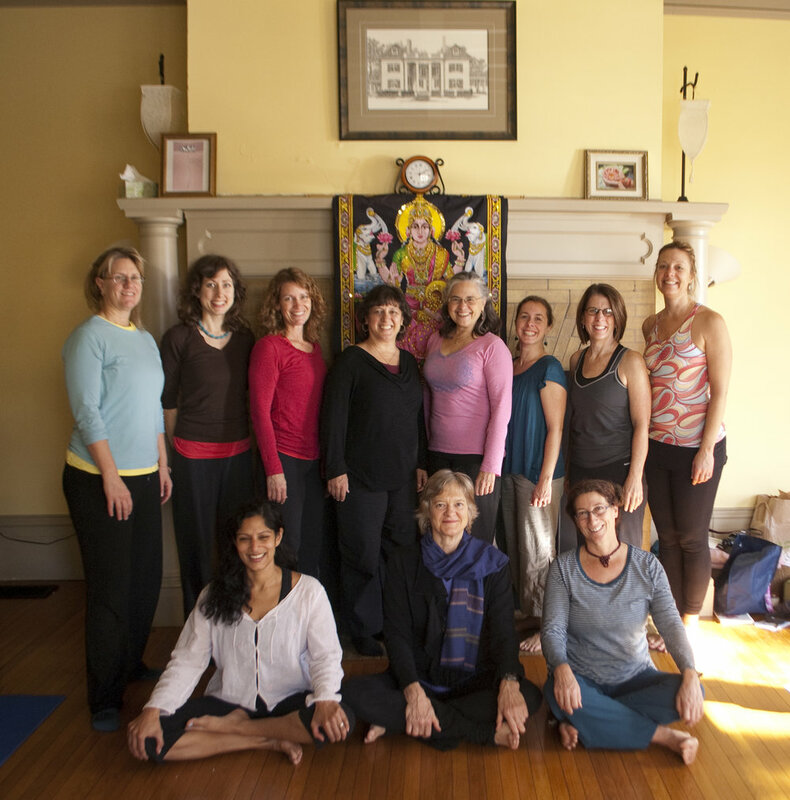 Shakti Yoga is an RYS, a Registered Yoga School, with Yoga Alliance. *E-RYT 500 certified teacher with Yoga Alliance. Teacher Training 2019-2020 *Part I: Deepening the Practice, Living the Philosophy Weekend dates: September 6-8; September 27-29; October 11-13; November 8-10. Weekend times: Fridays, 6:00-8:30; Saturdays, 10:00-6:00; Sundays, 10:00-5:00. 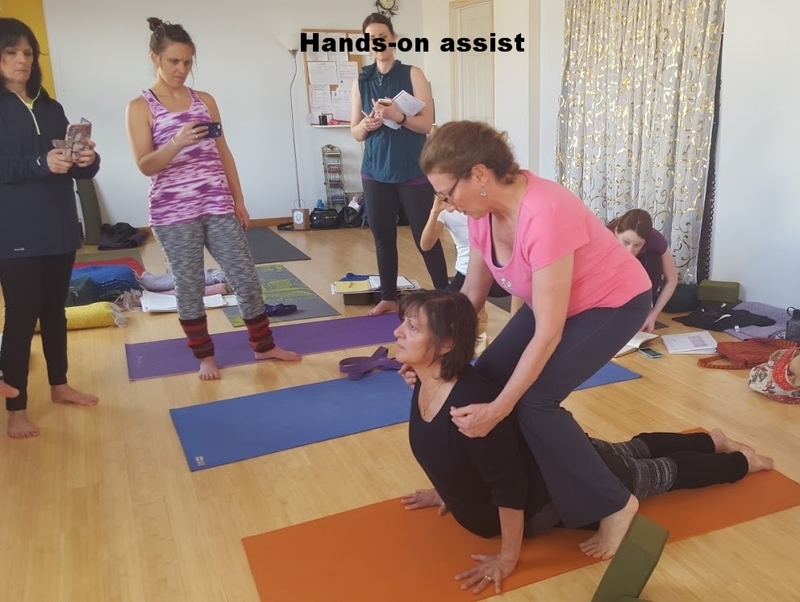 Teacher Training 2019-2020 *Part II: The Art and Skill of Teaching Yoga Weekend dates: December 6-8; January 24-26; March 13-15; April 17-19; May 15-17; June 12-14. Weekend times: Fridays, 5:00-8:00; Saturdays, 10:00-6:00; Sundays, 10:00-5:00. *Both Part I and Part II are required to complete the 200-hour Teacher Training. Requirements: A regular home practice, weekly classes at Shakti Yoga (10% discount); observation classes at Shakti Yoga; study of assigned readings; written assignments; cultivation of a meditation practice; culminating practical and written assessment exams. Note: Fees for assigned manuals and/or books are not included. Tuition for entire 200-hour Teacher Training: $3250. Early Bird: $3050. by June 1, 2019. Installment payment plans available....please inquire. Note: 20% discount for SUNY students. Discounts for former Shakti Yoga Teacher Training graduates who want to deepen their knowledge and skills. Mailing address: Shakti Yoga, P.O. Box 515, Geneseo, NY 14454. Checks payable to: Shakti Yoga. We're sorry, we do not accept credit cards. Thank you! Shakti Yoga is a Registered Yoga School (RYS) with Yoga Alliance. Our primary teacher trainers are E-RYT 500 certified with Yoga Alliance and Continuing Education Providers (YACEP). Contact us at: shaktiyogageneseo@gmail.com or call: 585-243-5240. Bill Mahony leading a yoga philosophy lecture and discussion. William K. Mahony, PhD, is known in the international yoga community for his informed, warm and accessible teaching. He is author of several books, the latest being “Exquisite Love: Heart-Centered Reflections on the Narada Bhakti Sutra”. He has written numerous other books and articles on the religions of India and has a deep understanding for the yogic life grounded in over four decades of his own spiritual practice. Bill is Professor of Religion and Chair of the Religion Department at Davidson College in North Carolina. Ellen Saltonstall, E-RYT 500, C-IAYT, YACEP is a certified yoga instructor based in New York City. She has extensive training in Iyengar and Anusara Yoga, a background in professional dance and massage therapy, and has been a practitioner of meditation and yoga for over 30 years. Ellen has published two books with Dr. Loren Fishman: Yoga for Arthritis, 2008 and Yoga for Osteoporosis, 2010 and her new book Anatomy and Yoga: A Guide for Students and Teachers, 2016. 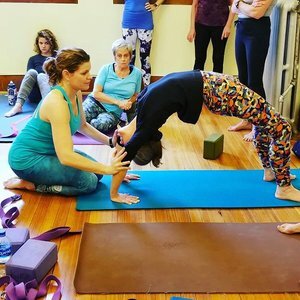 Ellen offers yoga therapy webinars through YogaOnlineU.com and she teaches nationally and internationally with a focus on anatomy and therapeutics. Barrie Risman, E-RYT 500, YACEP is widely regarded as one of Canada’s most highly skilled yoga educators, teacher–trainers and mentors. She is well known for her ability to convey the essence of the awakened teachings of yoga with exceptional clarity, insight, and relevance. Barrie was the co-founder and co-director of Shri Yoga, Montreal’s seminal place for the practice of Alignment-based, Heart-centered Hatha Yoga from 2011-2016. Most recently, she is the creator of The Skillful Yogi, an online Mentoring Program for yoga teachers. She is currently at work on her first book, Evolving Your Yoga: A Seeker’s Guide to Deepening, Integrating and Expanding the Benefits of Practice. Angela Rudert, PhD. teaches courses related to religion and gender in South Asia in the Department of Philosophy and Religion at Ithaca College. Her first book (Fall 2017), Shakti’s New Voice: Guru Devotion in a Woman-led Spiritual Movement, examines devotion, gender activism and new media in the community surrounding Anandmurti Gurumaa, a prominent, globetrotting Indian guru. Angela has studied Indian religious traditions in her personal and professional life since her first of many journeys to India in 1987. She lives in Ithaca, New York with husband Zachary Shulman, children Kayla and Kieran, and dog, Sophie. Joseph Schmidlin, OSTPLMT is an Osteopath, Cranio-Sacral Therapist and Massage Therapist with a long held practice in Rochester, NY. Joseph also practices in Boston and shares his skills with other practitioners and students, offering trainings elsewhere such as in New England, California, and Austria.